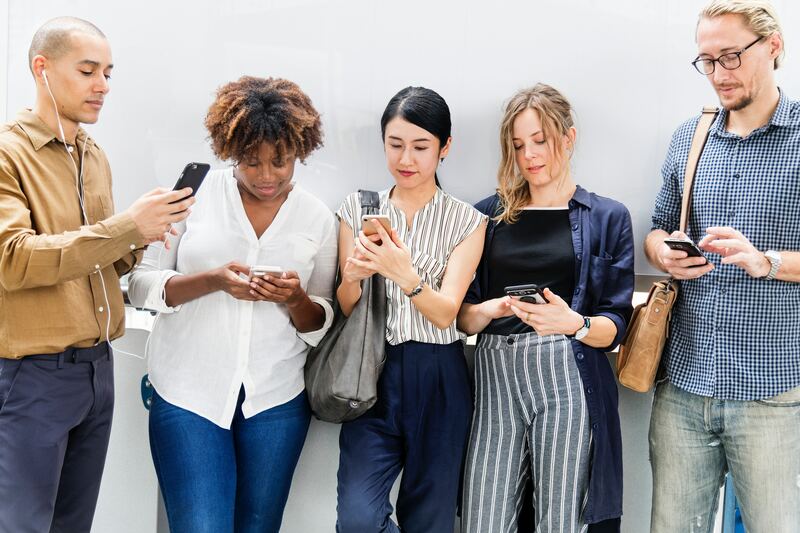 In this digital age that relies heaily on constant updates at the click of a button, one of the most useful tools available to build a brand, whether personal or for business, is social media. When crafted strategically, social media can take your brand to the next level. We’re here to help with a few easy ways to make managing your social media smooth and productive. Keep it clean. Keep it classy. The social media platforms used to promote your brand should be uniformed and reflect how you want to be perceived. The content you place on your social media whether for a business or personal brand will be the deciding factor on how your followers interact with your social media pages. For example, if you are a motivational speaker your posts should be inspirational and relatable. The look of your feed should not be full of traffic selfies and lip-syncing videos, leave that for the self-absorbed teenagers. Relevancy and consistency will keep you at the top your followers’ feeds. For any growing brand, staying at the top of the newsfeed will prevent your name from falling into the shadows. There are a few programs that can assist with scheduling posts so that they go out without having to sit still to complete. This takes the stress from forgetting your weekly posts. Now you’ll never forget to post your Monday motivations or hump day encouragements. Hashtags on both Instagram and Twitter are more than just a clever description for your #selfie. The use of hashtags can ensure that your page is discoverable by potential new followers and even by similar brands. Most brand ambassadors who are sought out by companies are found through searching relatable hashtags. Hashtags used for your content should be parallel to the audience. Research the best hashtags that represent your brand as well as other social media mavens who utilize the same ones. Your followers want to know that you’re engaging and reachable. After adding your spiel at the end of your video, graphic or post where you remind your viewers to ‘comment, like and subscribe’, make sure you go and follow them back. There are already social media celebrities who come across as untouchable–don’t be like them. Social media is about sharing your life, thoughts, what you’re passionate about and what prompted you to start your business, blog or brand. Get feedback from your followers and apply it back to your work. Across all platforms, cross promote all your profiles for audience engagement. If you blog, invite your readers to follow you on your social media pages for quicker access to alerts about new posts. This also allows you to broaden your digital footprint. You can easily turn your friends on Facebook to Instagram and Twitter followers by mentioning where you can be reached on all applicable social media avenues. Want more info? Need some extra help? We offer social media management and strategy for brands, personalities/talent and small businesses. Contact us today by clicking here.